Model R1200GS 1170cc 2006. 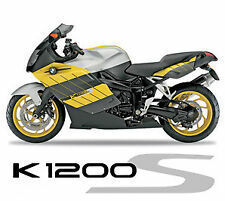 Model R1200S 1170cc 2006. Model R1200GS 1170cc 04 - 06. Model R1200RT 1170cc 05 - 06. Model R1200ST 1170cc 05 - 06. Haynes Manuals. Haynes Ref: 4598. Bike Maintenance. 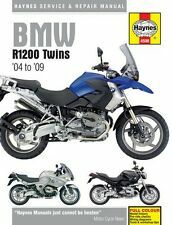 NEW Haynes Manual For BMW R1200GS,RT,ST,S Twins 2004-2009 Manual Haynes BMW R1200GS,RT,ST,S Twins 04-09. Manual Haynes for 2004 BMW F 650 GS Haynes Manual 4761 BMW F650. Manual Haynes for 2004 BMW F 650 GS Dakar Haynes Manual 4761 BMW F650. Manual Haynes for 2004 BMW F 650 GS ABS Haynes Manual 4761 BMW F650. Manual Haynes for 2004 BMW F 650 CS Haynes Manual 4761 BMW F650. R1100R / R1100RT. HAYNES PART NUMBER: 3466. I couldn't live without my Haynes. Superbike. These Manuals are essential reading for any biker tackling his own servicing. Motor Cycle News. a guide to servicing and routine maintenance. BMW R 1150 GS Adventure (Europe) 2001-2004 Manuals - Haynes (Each). BMW K 1200 S Original Motorcycle Sales Brochure, from 2004 PUBLICATION No: 411 204 020 21 FORMAT: 42 paged skirted brochure, stapled. LANGUAGES: English. ILLUSTRATIONS: Colour photographs. SIZE APPROX: 23cm x 29cm CONDITION: Very Good. One "genuine" Glass's Guide Motorcycle Values from March 2004. Item covers a fourteen year period from 1990 through to 2004. Including New Model Prices,used values of all current makes and models including Competition models. You will get a link to download the repair manual from my ( google drive, or SendTransfer ). An example of what the Manual contains. Download winrar file from the SendTransfer, or Google Drive and unzip the manual to your computer.